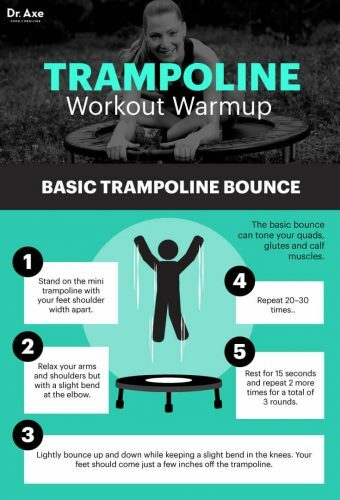 Have you ever tried trampoline exercise? You should read on to know why it has become so popular in the recent times. Well, we are growing in almost every sphere of life. From technology to urbanization, the milestones we have achieved in past few decades are actually commendable. But one thing that is becoming equally important for almost of all us with this development is our physical health. The increasing number of diseases and ailments has made us more conscious of our fitness. We have invented several unique ways of getting into shape and staying fit. From meditation to yoga(trampoline yoga) and admitting into a gym to buying high-end exercise equipment, we make every possible effort to ensure good health. But exercising regularly in a strict fashion is not everyone’s cup of tea. Some of us may even dread the idea of spending hours in a high-intensity workout daily. Therefore, there should be something which keeps us fit but without being too unexciting and tedious. Now, you would say nothing can be interesting when it comes to routine workout. At the most you can plug in your headphones and enjoy your favorite tunes while exercising. This isn’t true. We have explored one of the funniest ways of exercising without feeling bored ever. Want to know more about this exciting exercise idea? Well, do you remember your most cherished trampolines from your childhood? If yes, then this is your answer. Trampolines have become extremely popular in the fitness world at present. In fact, trampoline exercise are more commonly referred to as rebounding among fitness freaks. Rebounding is proved to have been 70 percent more effectual than jogging or running done for the same amount of time. Thus, it is one of the best and exciting workouts to involve in your fitness training. It will burn huge calories, make your heart healthy and improvise your sense of balance. If you are wondering about some of the best trampoline exercise that you can perform daily without any supervision, then you would be glad to know about these below-mentioned workouts. These are super easy and extremely effective for anyone who wants to stay fit. Dance is always considered one of the best activities for staying active and fit. So, if you will incorporate your favorite dance moves into your trampoline jumping you can make your trampolining more efficacious. The basic movement that you make while jumping on the trampoline is going vertically up and down. The dance move that you should perform in your trampoline exercise must be executed at the top of each jump. This is the moment when your body is completely motionless and best for introducing exciting moves. The moves that you can easily merge are a full body twist, pulling up your knees and hugging them close to your body or perhaps an energetic kick. However, you must always keep one thing in mind while implementing various dance moves and that is to ensure a proper landing. Before you land on the jumping surface, see that your body has accomplished its straight upright position. To make your dance more energetic, you can play some rhythmic songs too. Selecting dance steps will be basically influenced by the muscle group you want to strengthen. Jogging is the most common form of fitness training performed by millions of people worldwide. But it is a high-impact exercise and is very stressful for the knees and other joints. Street running has also caused several severe injuries over the years. Thus, jumping jog performed on the trampoline is the picture-perfect way of replacing regular running or jogging. Jumping jog is more effective than street running and is very gentle on joints too. Jumping jog is a low impact exercise and will gradually strengthen your bones. At the beginning, you must warm-up with few jumps to maintain your balance. Then you can slowly increase the height of your vertical lifts. After establishing a steady rhythm of vertical bounces, you can start jumping on alternate foot. This simple jog by landing with one foot at a time will replicate street jogging. Whenever you take a step, try to lift your knee as high as possible. Few minutes are enough for beginners which can be increased with time for more intense cardiovascular workout. And when you complete your exercise, finish it with a gentle warm up. Even when you can perform several lifts and high-end moves on trampoline, simple vertical bouncing is also effective for fit lifestyle. When you simply jump up and down on trampolines, it tones the general muscles of your body flawlessly. When you repeat the same motion of going weightless at the top and coming to the normal gravity, your lymphatic system will be stimulated efficiently. Thus, the clearance of all wastes and toxins will be greatly promoted with trampoline bouncing. It will gradually enhance the efficiency of your immune system. Simple elevation bounce must be performed at the center of the jumping surface in gentle and smooth movements. But bounce hard enough on the trampoline so as to lift your feet off the mat with each rise. This exercise is best for someone who cannot dance or efficiently jump jog on the trampolines. This is also the safest form of trampoline workout that requires only simple movements. Whenever you bounce up and down on a trampoline, you are going against the pull of gravity. So, in this fight against the gravity, the higher you go, more energy will be required to do so. The consumption of energy is directly associated with the amount of calories been burnt. Therefore, the anti-gravity aspect of trampoline jumping is very beneficial in burning good deal of calories. Each time you go downwards on a trampoline while landing, the trampoline will attempt to stop this movement. It will provide opposite bounce to accelerate you back again this is when you will need to use all your force against this reaction. Thus, the excessive use of force against the backward motion of the trampoline makes it immensely effective in building your muscle strength. In the weightlessness movement of the trampoline, you will gain sense of proper balance and orientation. 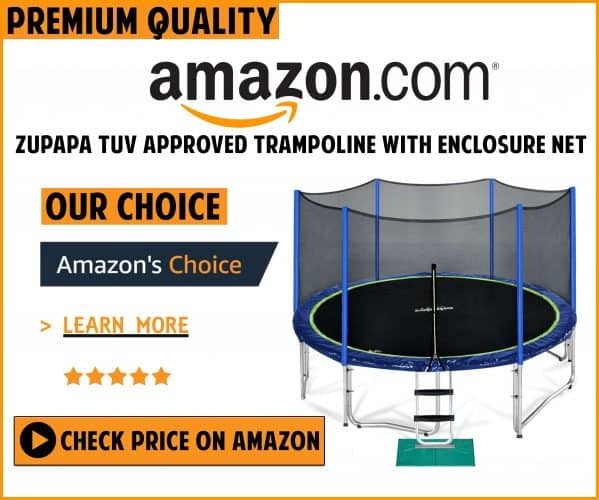 So, enjoy trampoline exercise for fun, entertainment and health! Well, if you’re looking to buy a best rebounder for your workout this is it. 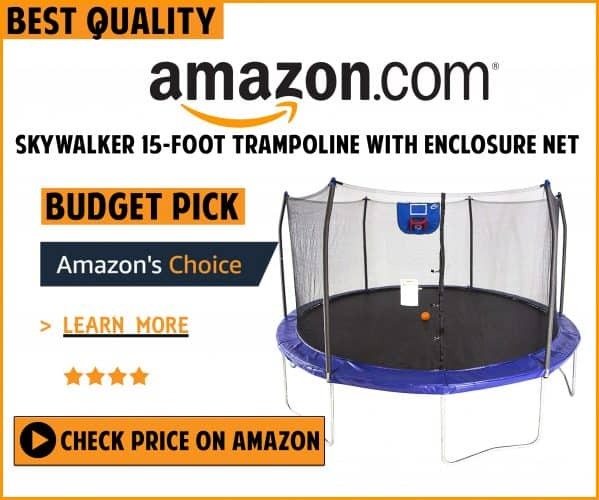 Stamina 36-inch trampoline is perfect and it comes with a reasonable price.